A head start with your Oxford friends. Simple phonic word practice tucked into fun stories. 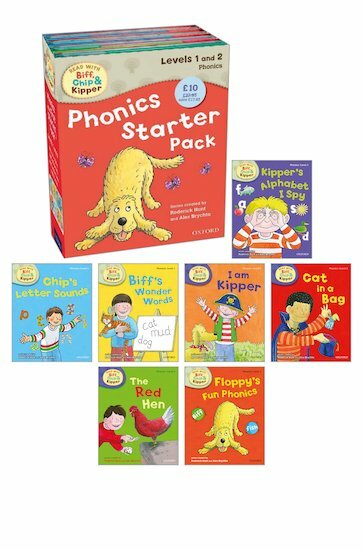 This bumper set is packed with merry phonics fun from the UK’s most trusted reading experts. They know all the best ways to get you reading fast so you can do your best at school. Like this! Seven colourful stories about Biff, Chip and Kipper, with cheerful phonics practice on every page. Just the thing to boost your confidence during those vital first steps.